This site is currently being translated into English. Until then in order to find more information about the Ball School Heidelberg in English you can check out our Wiki or click here. We are also currently working on an English translation of our new books. Stay tuned. The team of the Ball School Heidelberg is glad to welcome you to our website! 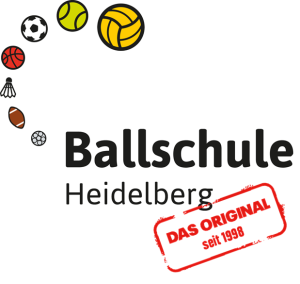 Here you can learn about the concept as well as the goals, contents and methodology of the Ball School Heidelberg. In addition to the current course hours and pending events, you can find interesting information about upcoming education and training (if you’re a training supervisor). Furthermore we offer lots of material around the very concept of Ball Schools and give an insight into the regional, national and international cooperation work. Why do we need promotion of movement? The world of children today is not a world of movement anymore. The culture of playing in the streets has largely vanished from their daily routine. Experts are talking about a „trap of sitting“ and a growing up „generation @“. Balls are not scored by bicycle kicks anymore, but rather by mouse clicks. Unfortunately, we know today that children who are reserved to do sports usually become seldomly moving teenagers and eventually lazy grown-ups. As part of a whole! 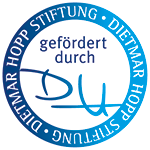 The Ball School Heidelberg is part of the non-profit Vision Bewegungskinder gGmbH. There you’ll find all of the “siblings” of the Ball School Heidelberg: the swim school, the dance school, the multisports school, the soccer school, the nature and adventure sports school and the basketball talent academy. On our new facebook page you’ll find news and pictures of our current events. It’s always well worth a visit! Click through the pages and browse the maps below! Most certainly there will be offerings and opportunities in your area as well! More detailed information to our different cooperation partners can be found in the cooperation section.